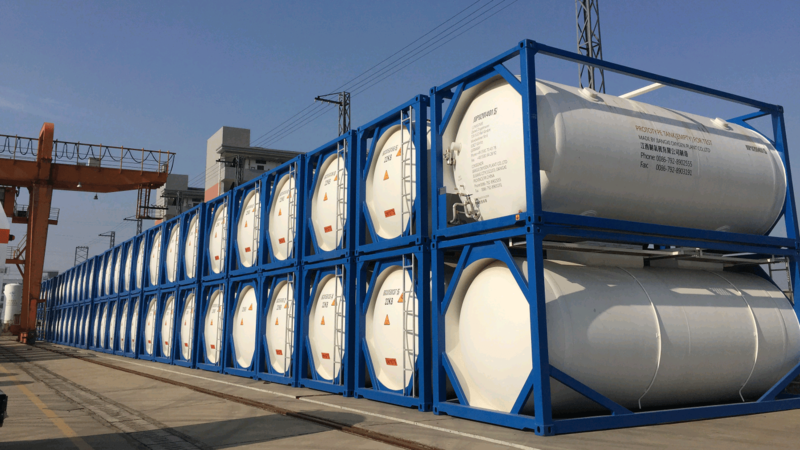 Mid 2016 Dutch Flaxfield Tank Container Solutions (FFTCS) and Chinese Jiangxi Oxygen Plant Co. (JOPM) began a cooperation with FFTCS providing their European Engineering, Sales and Marketing expertise, (after) sales service and JOPM providing their Chinese manufacturing capability in the field of carbon steel and cryogenic gas tank containers. “From Flaxfields perspective our clients have welcomed the expansion of the product portfolio”, comments Flaxfield. “With JOPM as our partner we can offer a wider range of tank containers: T1-T23 stainless steel, light weight composite tank container and carbon steel gas tank containers with JOPM. Clients appreciate the lines of communication have been simplified with an enquiry for 3 different products being possible through the same point of contact. Flaxfields wealth of experience in the International tank container business enables a bespoke solution with the further advantage of being located in the European time zone. Close interaction and regular factory visits have helped further develop the modern manufacturing site which incorporates a large degree of automation and the latest production techniques. Our focus is primarily on T50 and T75 gas tank containers, however JOPM offers a very wide range of additional products such as tank trucks, storage tanks, air separation equipment and LNG filling and storage stations, etc. The T50 and T75 tanks are available in both 20 ft. and 40 ft configurations with a whole host of options for customization being possible. With the expiry of the patent on the use of alternative materials for the production of lighter weight T50 type tanks JOPM offer an alternative source for customers wishing to procure this type of tank. Both companies communicated the cooperation for the first time publicly by exhibiting together during the Transport and Logistics exhibition in Munich earlier this year.” It has been a good kick off and positive reactions have been received. In the meantime, the first tanks have been produced and the quantities have exceeded our expectations” concludes Flaxfield.